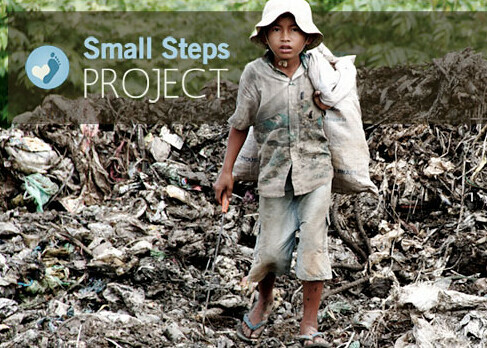 Small Steps Project is a humanitarian organization and a UK registered charity that delivers shoes, aid & sustainable solutions to children living in poverty. The Middle School Small Steps Club is dedicated to help support this organization and will have their very first fundraising Treasures from Trash happening on Wednesday, May 22. At the cafeteria from recess at 9:15 AM till 3:00 PM, students (teachers and parents) pay a small fee to pick up trash from our own created small dumpsite and may get lucky trading it in at our recycle center for a treasure. Happening at the same time, SSC members will be selling their own baked and decorated cakes at a bake sale, you can buy or win a club T-shirt designed by one of the students, and of course learn more about the Small Steps Project. Donations are welcomed. Hope to see you at Treasures for Trash! This entry was posted on 16/05/2013 at 3:41 PM and is filed under Events, Middle School. You can follow any responses to this entry through the RSS 2.0 feed.